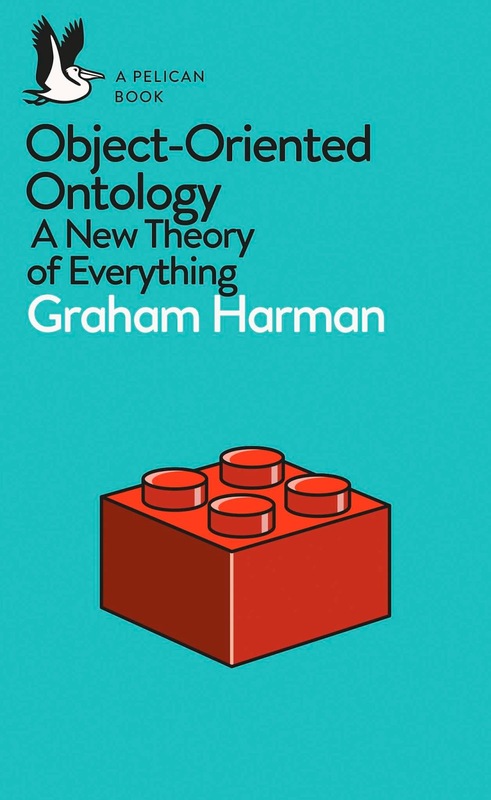 I finished reading Graham Harman's Object-Oriented Ontology: A New Theory of Everything (Penguin Books, 2018). It's very accessible and at least in parts quite entertaining. I must confess that I'm a newcomer to object-oriented ontology (OOO), but I'd nevertheless like to put down my impressions of the book. First, there is an idea that I like. This is OOO's realism concerning "objects". According to Harman, idealism must be rejected since reality is different from our conceptions of it. Objects are real, but withdraw from us since they are not directly accessible to our senses. Hence we must approach them indirectly. This doesn't mean that we can only approach them negatively. We can do it through art and philosophy. Metaphor in particular is crucial in mediating our access to objects. Metaphor doesn't produce knowledge about things, but nevertheless has great cognitive value. If I understand Harman correctly, he claims that metaphors produce objects. Not by defining them or laying claim to knowledge about them, but by creating a semblance of withdrawn things-in-themselves which we must apprehend as real. Here it is obvious that OOO, despite its rejection of idealism, isn't a materialism. According to Harman, materialism is based on an untenable claim to know what matter is. OOO, by contrast, is a realism, but not a materialism. Objects can be real without having to consist of matter. It is a false assumption, he claims, that everything that exists must be physical (p. 25ff). What are objects then? Harman's very concise definition is that objects are what can neither be "undermined" nor "overmined" (pp. 41-53). That objects can’t be "undermined" means that they can't be reduced to their parts. That everything that exists must be basic and simple is another false assumption, which cannot account for the reality of emergent entities. That objects can’t be "overmined" means that they can't be reduced to their effects. An object, then, is always more than its pieces and less than its effects. Examples of objects mentioned by Harman include the Dutch East India Company (p. 27), the American Civil War (p. 114ff), and a hospital (p. 186f). Based on his definition of objects, Harman defends the Kantian notion of things-in-themselves. He also defends the idea of “essences”. Postmodernists dismiss this idea as politically repressive: “But this critique only works against those who claim to have knowledge of the essence of a thing” (p. 159). I'm less fond of OOO' second core idea, which is the affirmation of flat ontologies. According to OOO, all objects deserve equal attention, whether human or nonhuman. It's ontology is thus “flat” in the sense that it at least initially treats all objects in the same way rather than assuming that different ontologies for different objects. The fact that human beings possess consciousness thus doesn't suffice to grant them any privileged ontological status (as assumed in what Quentin Meillassoux calls correlationism). Instead OOO claims that all objects, not just humans, interact through their sensuous qualities. This means that objects are opaque or "withdrawn" not just to humans, but to each other as well. There's a mutual darkness between objects, a mutual withdrawal that prevents the objects from making direct contact (p. 11f). That these two core ideas don't necessarily go together is shown in Harman's criticism of other thinkers who also adhere to flat ontologies but who fail to properly appreciate the reality of objects. A typical sin is that they "overmine" objects by reducing them to their effects or relations. This can be seen in the case of Bruno Labour. The book is full of praise for him and his actor-network theory (ANT). But it also insists on how OOO and ANT differ. While OOO resuces the non-relational core of every object, ANT dissolves the thing-in-itself, reducing actors to their mutual effects on each other (pp. 106f, 256). Furthermore, ANT's flat ontology is too rigid since it can’t distinguish transformational and trivial events (p. 110f). By contrast, OOO allows for discerning asymmetrical relations and for stating that things endure over time since all relations don’t necessarily change it (p. 134f). Differences also exist in regard to Jane Bennett's "vibrant" materialism. 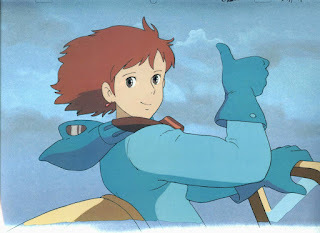 She too adheres to a flat ontology, but differs from OOO in emphasizing matter and by relying on an ontology of flux and becoming which doesn't sit well with OOO's idea of unified objects (pp. 240ff). So what do I think? I agree with the fundamental idea about anti-mining. Like Harman I don't believe that objects can be reduced to either parts or effects. Like him I think it's legitimate and necessary to have concept for macro-objects - such as the American Civil War or the Dutch East India Company - and that we should be able to talk about such objects as real. Insisting on that seems like an important advance on myopic, empiricist approaches such as ANT. Against them, Harman is right in stressing that the reality of objects doesn't depend on empirical knowledge. A question that arises here, however, is how OOO would view classical macro-concepts of the sort usually rejected in "flat" ontological approaches - concepts like "nature", "capitalism" and the like. Can capitalism and nature be objects in Harman's sense? In view of his definition of objects I would say yes. But doesn't OOO then risk reverting into a rather conventional or traditional sort of theory? Wouldn't it even be possible to use the idea of the "reality" of this kind of objects to resurrect the much maligned "Cartesian" dichotomy of nature and society? Here Harman's reply would probably be that OOO's flat ontology would prevent that. That brings me over to what I don't agree with in the book. Firstly, I’m not convinced of the usefulness of flat ontologies. Harman's examples (the American Civil War, the Dutch East India Company, the hospital etc) are all examples that centrally involve humans and that primarily seem to highlight the relation between objects and a human consciousness. In the absence of examples that show what we gain from presupposing analogous relations between non-human objects, the idea of mutual withdrawal between objects doesn't come forward as convincing. Let me take Harman's discussion about causation as a case in point. Since real objects can’t interact, Harman claims that interaction is only possible indirectly or "vicariously" through the senses (pp. 163-166). This means that only the sensuous side of objects can interact with other objects. But sensuous to whom? Here most people would probably reply: to living beings possessing senses. To Harman, however, this answer would be unacceptable since it goes against his flat ontology. His reply has to be: sensuous also to stones, chemical elements, and so on. But is this really convincing? Let me formulate this more succinctly. By emphasizing the distinction between the "real" object and its "sensuous" apects, doesn't Harman come close to reinstating a subject-object dualism? Doesn't this in turn require him to grant different ontological status to the "sensing" subject and the perceived "object"? To be sure, his reply would almost certainly be that his ontology is still flat in the sense that he extends the ability to "sense" to all objects. Something like correlationism would thus be retained, despite his seeming rejection of it, with the modification that it is generalized or democratized to a trait characterizing all interactions between objects. But is this a convincing position? What do I gain by supposing that stones have the ability to sense? In other words, what do I understand better by thinking that they do, than by not thinking so? Nothing, it seems to me. But if there are no advantages to extending the ability to sense to all objects, are there any drawbacks? Yes, there is at least one obvious drawback - it dilutes the meaning of the term "sense" to the point that it no longer really seems to carry much meaning at all. Secondly, I don’t agree with Harman's rejection of materialism. There are different kinds of materialism. We can take Adorno as an example. At first sight, there seems to be a basic similarity between how Harman and Adorno criticize idealism and in how both regard aesthetics as a way to apprehend the object, the "something" that is non-identical to our concepts. But there’s also an important difference: Harman talks about art and metaphor. Adorno would add that pain, shock and dizziness too are ways of apprehending non-identity. More than Harman's objects, Adorno’s seem to have the power to intrude on and disrupt our concepts. In this sense Adorno is more materialist than Harman. He also shows us a materialism that I believe escapes Harman's objections against materialism. Thirdly, Harman's argument about politics is unconvincing. Harman uses an entire chapter to discuss OOO's relation to politics, but the arguments presented here are weak. He states that OOO tends to agree with Labour in terms of politics and that OOO “avoids the left/right polarization” (p. 15, see also the similar statement on p. 137). The reason is said to be that there is no knowledge about politics (p. 136). From this it follows that “OOO cannot be sympathetic to most forms of radical politics, since these are invariably based on the claim to a radical knowledge” (p. 146). But does this really follow? My suspicion that Harman is here simply using the argument to camouflage his own dislike of radical politics is strengthened by the fact that other OOO-adherents - like Tim Morton - seem to be much more comfortable with embracing more radical positions. The idea that radical politics must presuppose a claim to real “knowledge” about politics seems to me to be entirely baseless. Why can’t it be based on, for instance, an aesthetic apprehension of reality through metaphors that Harman otherwise sees as fully legitimate? There is a justly famous subsection in Hegel’s Logic where he describes “the sudden conversion into a change of quality of a change which was apparently merely quantitative” (p. 335). This subsection, as far as I know, contains the clearest expression in his writings of the famous dialectical leap (or Umschlag) from quantity into quality. Below I'd like to offer a few reflections on the relevance of this idea for some present-day discussions, e.g. climate change and the idea of emergence. The relevant passages occur in the context of Hegel's discussion of what he calls “measure”. According to Hegel, everything that exists is determined by the magnitudes, or quantities, of the things that constitute it. When a particular magnitude becomes defining for the entity in question, it is called measure. For example: a dwarf that grows above a certain size is no longer a dwarf. A piece of sandy land needs to exceed a certain size before we call it a desert. Hot days need to continue with a certain regularity before we can speak of climate change, and so on. The size or magnitude (a quantity) is thus part of what defines the thing (a quality). As Hegel writes, the specific quantity (or quantum) “is now the determination of the thing, which is destroyed if it is increased or diminished beyond this quantum” (p. 333f). According to Hegel, measure is a paradoxical. This is because we usually can’t find anything in the concept of a thing that pinpoints the exact quantitative limit where a qualitative change must occur. This makes us think that we can vary the quantity without affecting the quality. A forest needs to have a certain size in order to be a forest, but it will surely remain a forest even if we cut down one tree. A heap remains a heap even if we remove a grain of sand from it, and a hair pulled from a person’s head doesn’t make the person bald. Yet, obviously, if we keep cutting, removing and pulling we will eventually arrive at a point where the forest and heap will disappear and the person will be bald. What Hegel describes here is the so-called sorites paradox (from the Greek word for heap). This is a magnificent passage. That it comes like a bolt out of the blue in the midst of Hegel’s long, notoriously abstruse and seemingly apolitical discussions about quantity and quality only makes it more impressive. No wonder his idea of the transformation from quantity to quality later came to inspire hosts of revolutionaries! Secondly, Hegel points to an interesting curiosity. The destruction is always unexpected, he claims, and this despite the fact that it is quite easy to understand what causes it. Strangely, it’s not because of ignorance that we are surprised by the destruction of a State or a fortune. On the contrary, we are surprised because the concepts we use tell us that small quantitative changes in things won’t affect their quality. We know that removing one grain of sand from a heap won’t make the heap disappear, because that’s part of the concept of a heap. That’s why politicians and capitalists, and others too, are justified in thinking that a little more aggrandizement won’t hurt. Who can avoid thinking here of global warming? We all know that releasing greenhouse gases into the atmosphere is bound to cause global catastrophe, yet we go on thinking that “a little more won’t hurt”. And we are quite correct in thinking so. Surely, it can’t possibly make any difference to the global climate whether I choose to walk to my job today or to take the car. Similarly, it doesn't make any sense to claim that any particular molecule of CO2 is decisive in causing global warming. It’s precisely because we are so irrefutably correct that we’re in for a surprise when we realize that the catastrophe is here. To put it differently, we can’t stand with a measurement instrument in hand and say: now the catastrophe begins. What happens is rather that, when the dialectical Umschlag finally occurs, we realize that the catastrophe has been going on all the time, and that we were living in its midst even when we still thought that things were fine. The Umschlag brings with it a shift of perspective from which it becomes possible to project the origins of the catastrophic process far back into the distant past. To awaken to the catastrophe of global warming is thus to realize not only that the catastrophe is here, but that it has been unfolding ever since the industrial revolution first brought steam engines into the world. It's not just that quantitative changes give rise to qualitative ones; there is also an opposite process, through which the qualitative shift produces a certain version of the past which tells us which quantitative processes should be deemed relevant and important. That's why the awareness of catastrophe often seems to include the realization that the catastrophe isn’t new. The catastrophe started already when we cut the first tree, removed the first grain of sand, and plucked the first hair. The economy is perhaps an even better example of how changes both surprise us and don’t surprise us. I’m not thinking here of the constantly recurring speculation bubbles, which certainly surprise us so often that they no longer surprise us, so much as of the ideology of endless exponential growth. Mainstream economics has so far failed to make sense of such growth, which clearly leads to absurd consequences if extrapolated far enough into the future. What seems to be missing in the models used in economic theory is that they fail to acknowledge that their concepts are defined by a “measure” which sets limits to the magnitudes that they can comprehend. If we think that two per cent annual growth every year is good, but that endless exponential growth is an absurdity, then we clearly have a problem in how to relate quantity to quality. To be more precise: our entire economy is built around the sorites paradox. At this point, I think it’s not far-fetched to link Hegel’s ideas to present-day discussions about emergence. Emergence is what occurs when it is possible to discover a quality in the whole that doesn’t exist in the parts. In many well-known examples used to illustrate emergence in the field of complexity theory, the emergent quality hinges on quantitative change. Crowd behaviour, for instance, arises from a quantitative increase in the number of people. Mobilization processes in social movements, the diffusion and establishment of new technologies, or the way size impacts organizations are other examples. Yet when we look closer at the idea of emergence we discover an ambiguity related to how it brings together qualitative and quantitative change. On the one hand, emergence is a causal process, in which a macro-level phenomenon results from complex, interlocking processes originating on the micro-level. On the other hand, emergence is also the result of a conceptual Gestalt shift, or shift in perspective, which in itself says nothing about causality. As an example, we can return to the heap of sand. The heap isn’t “caused” by the grains of sand in any ordinary sense of the word. For instance, there is no temporal sequence such that we first have grains and then a heap. If we dump a load of sand from a bucket, the heap exists from the start. In many discussions about emergence, it seems to me that a clearer distinction between the causal and the conceptual is needed. Exclusively focusing on the causal aspect of emergence easily leads to debates about directions of causality – whether it can only be from micro to macro, or the other way round or between macro-entities as well. While these discussions are important enough, they shouldn’t obscure the fact that causality alone can never explain emergence. Emergence also depends on our ability to capture changes in quality. Without that ability, a dwarf that grows in size would simply be a big dwarf, not something qualitatively different. Nothing would be surprising to such thinking, since nothing qualitatively new would ever happen. On the other hand, exclusively focusing on the conceptual aspect would be equally bad, since it would make us blind to the forces that undermine our concepts, to the way they are “open to unsuspected attack and destruction”, to quote Hegel. Without understanding those forces, we’d deprive ourselves of means for understanding change. All we would have would be one surprising change after the other. To capture both the causal and the conceptual side, I think it is worthwhile to return to Hegel and to how he describes the transformation of quantity into quality as a process that paradoxically leaves us both surprised and not surprised at the same time. What Hegel seems to be saying is that quantitative processes – that may well involves causal mechanisms, such as the greenhouse effect – compel us to conceptual shifts that allow things to appear in a qualitatively new way. The compulsion here, however, is not of a causal nature in the sense of a law-like regularity or automatic reflection. The compulsion arises as a response to surprise, just as when we suddenly realize that the heap of sand has disappeared. This is significant, because it shows that Hegel is not an idealist in the sense that we can disregard experience. As I’ve argued elsewhere, his idealism consists in his belief in the ability of thought to retrospectively endow experience with meaning by shaping it into a conceptual totality. The question with which I would like to end my reflections today is this: doesn’t Hegel’s remarks on the subversive nature of quantitative change also provide an opening for idealist self-criticism? 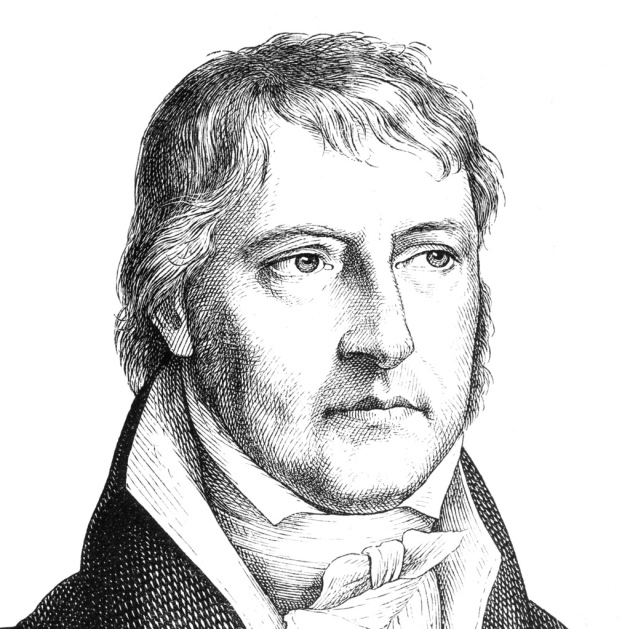 Even if Hegel opens up thought to experience, his understanding remains conceptual and organized around qualitites. But an important lesson from his discussion about measure is that quantitative changes are radically subversive. No matter how correct and justified we are in clinging to the quality of the world as we comprehend it, quantitative changes continually undermine and destabilize it - precisely because they takes place “below the radar” of conceptual thinking. Hegel, G. W. F. (1969) Science of Logic (tr. A. V. Miller), Oxon: Routledge. It’s important to think ahead. For everyone, not just for social scientists. And the future is bleak. Regardless of whether we look at resource depletion or climate change, it’s almost certain that catastrophic disruptions of the way we organize our societies await us. To many people, the catastrophes are already here. I stress that not to induce hopelessness, but to encourage all of us to think about what it means and to discuss it together. Above all, we need to sharpen our eyes to what new conflicts will emerge or become more central in a future of ecological devastation and diminishing material prosperity. To accept the inevitability of catastrophe doesn’t mean passivity at all. It means discovering a host of new struggles. In short, we must build democracies that “do not abandon the poor and vulnerable to their fate while those who are able to buy their way out of the crisis do so”. The goal must be to “democratize survivability” (p. 223). So here’s another reason for the importance of “climate justice”. Justice is necessary not just to distribute burdens for mitigation fairly or to compensate for historical emissions. It’s necessary from the point of view of adaptation too, in order to avoid having climate change result in a Hobbesian war. Facing the reality of climate change means facing the threat of a brutal, exterminist future in which ruthless oligarchs protect themselves while large swaths of humanity perish. To prevent that, we need to make efforts already now to reduce social inequality and strengthen the political rights of those whose position in society is weakest. That’s surely a struggle that’s still worth fighting, even if disruptive climate change per se can no longer be averted. Framing the climate crisis in these terms helps us gain a better view of the stakes of some other recent political debates. The so-called refugee crisis, for example, is clearly linked to climate change in many ways. The way societies in Europe and other parts of Global North reacted to the crisis gave a foretaste of how these societies may react to diminishing material prosperity in the future. With the crisis, we saw a right-wing shift across the political landscape of the Global North, a new love of walls that was not least fuelled by the argument that we can’t afford accepting refugees because of the burden they place on our economies. Isn’t this readiness to sacrifice others with reference to a sacrosanct economy a glimpse of the barbaric future Hamilton warns us about? The point I want to make here is that we can’t have a society that can only act morally when it’s rich. Such a society would condemn us to hell the moment the economy runs into decline. Unless we find at least relatively decent ways of living together that don’t presuppose economic growth, it’s not just the refugee crisis that we won’t be able to deal with. We won’t be able to deal with the ecological crisis either. Another issue concerns neoliberalism. Neoliberalism isn’t just about economics. It’s also a political project involving the destruction of rights. Its history since the late 1970s shows how quickly rights and welfare systems can be dismantled when economic elites see their interests threatened. Even as I write, the government of Sweden (where I live) is looking for ways to restrict workers’ right to strike, justifying this with the need to limit disruptions of the economy. It’s easy to imagine a host of other rights being abolished or curtailed as climate change and resource depletion threaten the profitability of the economy – the right to public access to information, the right to free schooling, the freedom of the press, and so on. If Hamilton is right, and I believe he is right, weakening these rights is surely the stupidest and most counterproductive thing we can do. Weakening them means strengthening the very elites that we ought to mobilize against. Accepting the economy as a valid excuse to outlaw strikes or to build walls is to make ourselves hostage to these elites who claim the power to define our economic interests, but whose own interests are in fact opposite to ours. To summarize this post, I believe that we really need to have a public debate about how to manage processes of material decline, and how that can be done in a way that minimizes suffering. Not just for the sake of refugees, but for the sake of everyone. If the word ecology indicates a focal point for many conflicts today, it’s not only because we must struggle against climate change and resource depletion, but also because of the many new conflicts that are emerging because of ongoing climate change and resource depletion. I once used the word “post-apocalyptic environmentalism” for environmental activism that takes its departure in catastrophes that are already occurring or that are seen as inevitable. Perhaps the association to post-apocalyptic fiction is not altogether misplaced. Such fiction practically always shows heroes and heroines who continue fighting and struggling, even “after the end”, in the desolate landscapes that remain after the cataclysm. I think it’s possible to find traces of a similar heroism in today’s climate activism – but I’ll write more about that in a later post! To Hegel, dialectics is a retrospective presentation of the various moments that constitute the meaning of a concept. 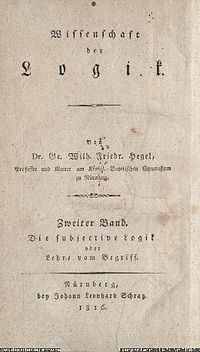 The meaning of the concept – der Begriff, which is also translated as the “Notion” – only emerges from the totality of the constitutive moments. In isolation, each moment is abstract, i.e. one-sided. When they come together, they allow for a concrete grasp of the concept. To Hegel, dialectics always involves a movement from the abstract towards the concrete. This procedure is hardly difficult to understand. In fact, we use it all the time when we try to explain something to somebody. Say that I want to tell you about a friend of mine. His name is George. I know him well and believe myself to have a clear grasp, or concept, of who he is. But how am I to transmit my concept of George to you? Well, I could start by saying that he is a writer, that he lives in Copenhagen and that he has a dog. But these determinations are necessarily abstract. They’re also all insufficient, since they don’t really capture what I think is essential in George. No matter what starting point I use, I’m bound to feel, sooner or later, that lots of important things are left out. And so I’m forced to add more determinations – telling stories about his life, describing his relations to other people, and so on – until I feel that the picture I’ve given is concrete and captures George’s essence. But why would this kind of explanation be dialectical? To Hegel, thought is dialectical if it involves negation. I can try to understand George’s life solely from the vantage-point of him being a writer, but I already know how silly that would be since there's so much of his life that can't be explained from that vantage-point. These things “negate” the vantage-point, which is revealed to be limited and partial. I face a contradiction between the abstract vantage-point and its negation. The only way to escape it is to find another vantage-point, from which the contradiction can be redefined into part of what constitutes George (this shift of vantage-point is what Hegel refers to as Aufhebung, or “sublation”). Yes, he is a writer but he is also a violinist and dreams of being an astronaut. Yes, he hates travelling but next month he is moving to Australia to marry. That’s how people are! People are full of contradictions, and yet, importantly, we can still know them and feel that there is a unity in their lives which to no small extent is defined precisely by these contradictions. Instead of preventing me from understanding my friend, the contradictions help me know him better and become part of what defines him for me. They become a necessary part of the higher unity or totality that defines his essence. Perhaps you’re thinking that George is a misleading example since Hegel was interested in wholes on a much grander scale – such as the spirit or the logic of thought. I admit that this objection has truth in it: Hegel’s wholes are defined by the fact that they are so all-encompassing that we ourselves are part of them and that it is usually hard to discern any form of outside to them. Nevertheless, I still find it useful to refer to George – or some other fictitiously named friend – whenever I'm asked what Hegel meant by dialectics. Like all people, George is a contradictory person, and in that sense he is similar to entities such as spirit or (the Hegelian) logic. And just like Hegel finds it necessary to explain the concept by reconstructing the totality of moments that constitute its meaning, the only way I can explain the essence of George is by a complex exposition of all the various moments that together, as a whole, define him for me. A good thing about an everyday example, such as George, is that it makes it plain how much in a dialectical procedure that hinges on retrospectivity. Dialectics is not about deducing the concept from a handful of premises, as if it were a logical conclusion. In fact, there is nothing in the abstract beginnings per se that compels thought to develop further. That George is a writer doesn’t allow me to conclude that he dreams of travelling in space or that he likes ketchup on his fries. Instead, dialectics is all about making sense of, or explicating, a concept constituted by a totality that we already know. It is when I already assume the standpoint of this totality that I can see that being a writer and wanting to be an astronomer are both conceptually necessary parts of what defines George to me. When Hegel stresses the importance of “internal” rather than “external” relations, “internal” means internal to the concept of the whole, not internal to the abstract starting points. One might object, of course, that if the meaning of the abstract starting points is mediated by the relation to totality, then relations internal to the totality must in some sense also be internal to the abstract starting points. This is completely correct, but my point is that we cannot see this, unless we first adopt the standpoint of totality. It’s only then that I can claim that George’s being a writer is defined in relation to his unfulfilled childhood wish to fly to the stars or that his visceral dislike of travelling can only be properly understood if viewed in the light of the fact that he nevertheless decided to travel to the other side of the world for the sake of love, and so on. Similarly, the only way in which Being, used as Hegel’s starting point in the Logic, can be seen to imply Nothingness is from the vantage-point of a higher unity or totality that must already be assumed and in which both moments are already part. In both cases, to quote Hegel, the starting-point is the goal. We do not deduce the goal from the premise, but explain how the starting-points can only be understood when viewed in relation to the goal. Retrospectivity, then, is central. Retrospectivity also helps us understand the “necessity” that defines the relations between the moments and that drives thought onwards from the simple and abstract towards the complex and concrete. I’ve already pointed out that this isn’t the necessity of logical deduction. It’s also not causal necessity (not even in works, such as the Phenomenology, in which Hegel employs a historical dialectic that unfolds over time rather than a systematic one looking at interrelations in a given whole, as in the Logic or the Philosophy of Right). Rather, it is a conceptual necessity. Some moments have to be part of the whole in order for the concept to have the meaning that it has. Such necessity can only be retrospectively reconstructed, when I already know what the concept means. There is thus nothing in this necessity that can be used to predict the future or to deduce a more rational order than the one defined by the concepts that we hold to be valid today. But if dialectics can only operate retrospectively, does that mean that it cannot generate new knowledge? If so, what is the point of it? My answer would be that even a dialectic that only operates retrospectively can generate new knowledge, in two ways: one that employs the dialectic more or less like Hegel does it, and another that takes the dialectic beyond Hegel, in the direction of Adorno’s negative dialectics (thus generating a knowledge that is critical and undermines idealist systems like Hegel's). To start with the first of these options, the retrospective procedure involves a clarification of the concept. That I already at the start possess the concept of a thing doesn’t mean that I possess it clearly. For instance, I can know George very well without having clarified to myself exactly what constitutes this knowledge. The same, obviously, applies to self-knowledge. Who hasn't had moments of shock or revelation when encountering memories of past events that we then retrospectively recognize as defining moments in our lives, as constitutive of what we are today? Hegel himself recognizes that we can have the concept of a thing without possessing it clearly. That is why, for instance, he can set it up as a task for philosophy to comprehend its age in thought, a task of self-clarification that is not so different from the self-clarification carried out on an individual scale in psychoanalysis. But not even successful self-clarification results in a concept that can be directly put in words. The concept can ultimately only be expressed through the totality of its moments and that in turn means that it’s impossible to express it in a unitary, simple way that is free from contradiction. The riddle-like reference to the rose in the cross in the preface to the Philosophy of Right is an example of this. To illustrate the second way, that of taking the dialectic beyond Hegel, let me return to George. What Hegel ultimately misses in his insistence on dialectics as a retrospective reconstruction of meaning is the problem of how to account for the things that have to be suppressed or forgotten for this meaning to arise. Let us imagine that George totally unexpectedly walks into the room, after I’ve finished telling you my stories and anecdotes about him. Frankly, I feel a bit disturbed by this appearance of the real object of my stories. Anxiously I look at your faces, searching for reactions. I know that you are all busy judging for yourselves whether I have been right or wrong. Suddenly I’m made aware of what Adorno calls the non-identify of concept and object, and this awareness triggers another kind of logic than the Hegelian one, a logic of disintegration that threatens the integrity of the concept. I’m no longer sure who George is. I'm reading Ursula LeGuin's The Lathe of Heaven. What a find. The protagonist is so darn likable, despite being passive and helpless! LeGuin died last year. I'd like to pay her homage with her own words. Here's a quote from the book. Are there really people without resentment, without hate, she wondered. People who never go cross-granted to the universe? Who recognize evil, and resist evil, and yet are utterly unaffected by it? Of course there are. Countless, the living and the dead. Those who have returned in pure compassion to the wheel, those who follow the way that cannot be followed without knowing they follow it, the sharecropper’s wife in Alabama and the lama in Tibet and the entomologist in Peru and the millworker in Odessa and the greengrocer in London and the goatherd in Nigeria and the old, old man sharpening a stick by a dry streambed somewhere in Australia, and all the others. There is not one of us who has not known them. There are enough of them, enough to keep us going. Perhaps. I tip my hat to both LeGuin and Calvino. En serio, mucho respeto! Just a small reflexion in the middle of the night. Pascal concludes the Mystère de Jésus by saying that “we must perform little things as if they were great ones because of the majesty of Christ Jesus who does them in us and who lives our life; and we must do great things as if they were simple and easy, because of His omnipotence” (quoted by Lucien Goldmann, in The Hidden God, Routledge, 1964, p.38f). Great words, and I don't think you have to be a Christian to believe in them. I once read the following in an old samurai manual from the early 18th century, Hagakure, written by Yamamoto Tsunetomo:"Among the maxims on Lord Naoshige's wall there was this one: 'Matters of great concern should be treated lightly.' Master lttei commented, 'Matters of small concern should be treated seriously.'" In the same spirit, Yamamoto urges us to make our important decisions within the space of seven breaths (nanakai kokyû suru aida ni ketsudan subeshi). I always understood that to be an example of treating matters of great concern lightly. Don't let your mind get entangled. Try to clear it, attend to the moment and do what you think is best.